Governments should avoid committing massive amounts of funds on large, complex projects without allowing the private sector to independently verify (through competition) that such projects make technical and economic (life cycle) sense. Hong Kong ran a Chinese bull through America’s infrastructure shop. The contrasts were stark. 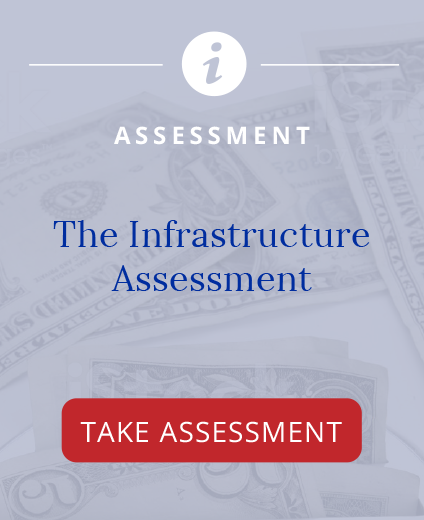 Here, publicly funded projects are routinely late and over budget – yet, only taxpayer dollars are at risk. Here, federal policy requires separate, full design before a separate competition for construction – while new technologies and methods are pushed away. In the United States, designers have no contractual obligation the cost of operation – even though that’s when 90% of life cycle costs are incurred. The result – large, complex projects – like California’s High-Speed Rail – are not verified through competition in the private sector. Private sector teams do not independently verify that the large public projects make technical and/or economic sense. Since Hong Kong’s success, the proper role of American government in public infrastructure is contested. 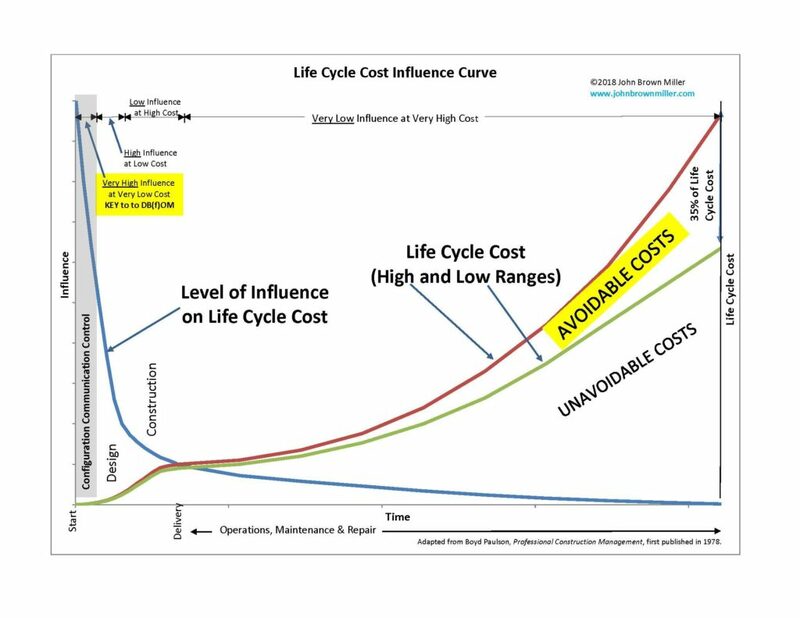 The Life Cycle Cost Influence Curve below summarizes lessons learned from thirty (30) years’ experience with competitive life cycle delivery. First, early thinking about of Life Cycle Cost and long-term Levels of Service has a profound impact on outcomes. The blue line tracks Level of Influence on Life Cycle Cost over Time. Infrastructure owners have one opportunity, before Design begins, to exert Very High Influence at a Very Low Cost. The impact of this influence is shown as the difference (35% at the end of the cycle) between the red and green lines that compare High and Low Range Life Cycle Cost. Costs between the red and green lines are Avoidable. These funds need not be spent if the project is properly configured and controlled. Costs below the green line are Unavoidable – and will be spent once construction begins. Then, it is very hard to influence life cycle costs. Second, the quality of the Configuration process in the first few months determines the Life Cycle Cost Curve. Poor Configuration will produce Avoidable Costs that are three (3) times the total cost of initial Design and Construction. Pennies spent during Configuration, and nickels spent during design save dollars over the life cycle. There is always room for better design, better equipment, and high-quality materials, once life cycle performance is in view. Third, the range of outcomes – between good and poor stewardship – is surprising. 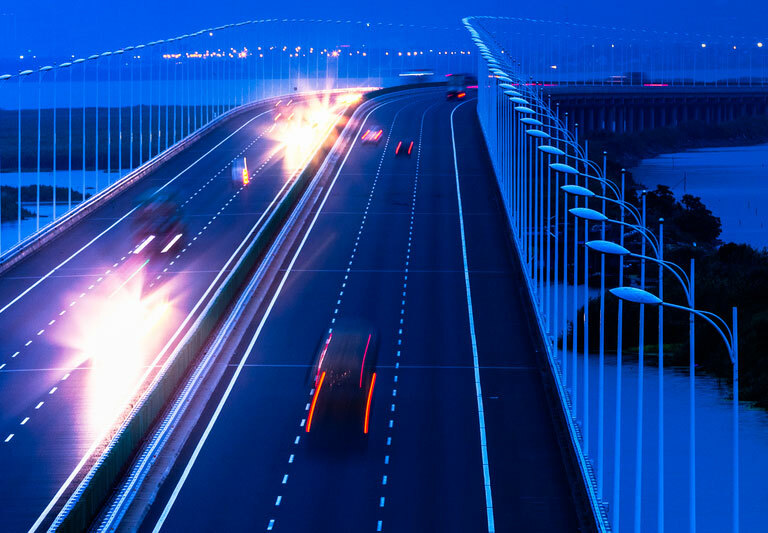 This is where the tools of Enterprise Risk Management (ERM) – “open system logistics” – are urgently needed to help public owners deliver high levels of infrastructure service at low life cycle cost. In Hong Kong, teams used logistics to plan across the life cycle. Logistics can supply the tools necessary for Owners to use asset condition, as well as revenue and expense history, to properly configure projects. Public owners need new tools to be in position to perform the right activities, at the right time, in the right place, at a competitively verified price. 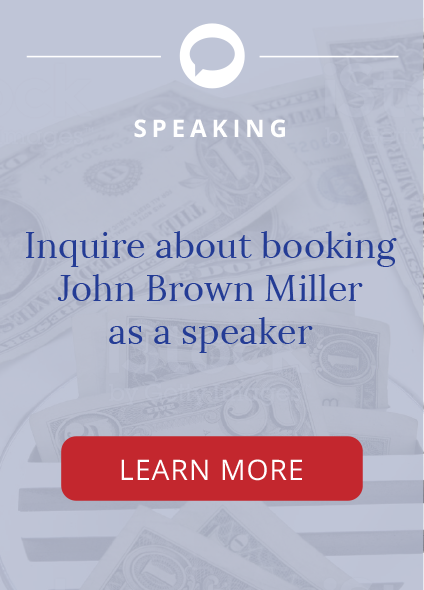 Miller was professor of civil engineering at MIT, chair of the ABA Section of Public Contract Law, and is an expert on infrastructure procurement. By ERM, I mean the processes and logic of ISO 31000_2009(EN) Risk management – Principles and guidelines. Risk management includes the coordination of activities that direct and control the effect of uncertainty on complex collections of facilities, equipment, and supplies, involving ongoing operations, multiple people and firms, over long periods of time. ERM is “open-system” logistics (or supply chain management). Hong Kong’s success renewed interest in much older project delivery and finance practices. My MIT textbook, Principles of Public and Private Infrastructure Delivery, covers America’s 200-year experience with life cycle delivery and the Hong Kong experience in Chapters 3 and 5, respectively. The Life Cycle Cost Influence Curve is based on our research program at MIT’s Civil Engineering Department between 1995 and 2003. The Curve extends the work of Prof. Boyd Paulsen (on design and construction) by adding Operations, Maintenance, and Repair – to cover the entire Life Cycle. Tags: Enterprise Risk Management, infrastructure, logistics.